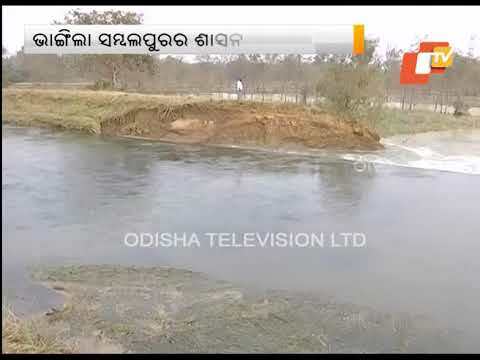 Over hundred acres of agricultural lands submerged due to breaches in Sason Canal were submerged following a 50- ft breach in embankment of Sason canal near Talab village in Sambalpur. The agricultural lands of around 10 villages under two gram panchayats have been inundated by water. Locals alleged that today’s incident shows callous attitude of authorities as no timely action was taken for timely strengthening and repair of the weak embankment despite several complaints. “We had raised the matter of weak embankment during Pani Panchayat meeting several times and demanded for repair of the canal bund at the earliest. But our complaint fell on to deaf ears,” Byomakesh Thakur, a local farmer said. The breach has caused an artificial flooding in the area. The administrative officials have swung into action and took stock of the situation. “Efforts are on to mend the breach with sand packets. Executive engineer and other officials of Irrigation Department are monitoring the work. Later, losses will be assessed jointly by Agriculture and Revenue departments,” tehsildar Debendra Nanda said. 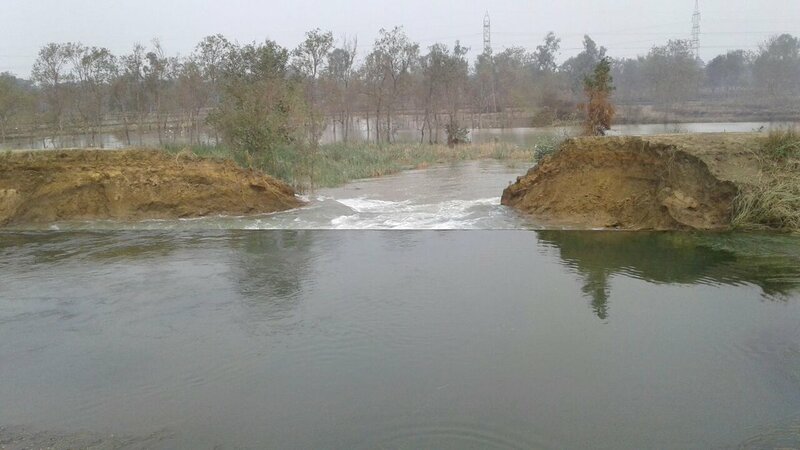 Standing rabi paddy crop over 700 acres of land has been damaged due to a 40-foot breach in the embankment of Sason Canal of Hirakud Dam Project at Khejurbandh under Kilasama gram panchayat of Dhankauda block in the district on Sunday. Paddy crop has been damaged in villages of Balbaspur under Kilasama gram panchayat and Talab under Talab gram panchayat due to the breach. Reports said the embankment of Sason canal caved in early on Sunday. The villagers informed the officials of Water Resources (WR) department immediately after the incident. The villagers alleged that the water submerged large tract of paddy land due to delay in closing the sluice gates of the Sason canal.Of the two sluice gates of the canal, one gate has not been functioning properly for the last two years. Though the villagers had informed the WR authorities about malfunctioning of the sluice gate, the authorities did not pay heed to their grievance.Had the authorities repaired the sluice gate, the water flow into the Sason canal from the Hirakud Dam Reservoir could have been stopped immediately and huge crop loss could have been averted, the villagers said. Subsequently, the sluice gate was closed manually and water flow into the canal has been stopped. Farmer leader Byomkesh Thakur, a native of village Talab, said the embankment of the canal was weak at Khejurbandh. They had apprised the officials of the WR department about the condition of the embankment at that place. However, the department failed to take any measures to strengthen the embankment and it caved in. The breach in the embankment has caused huge loss to the farmers, he said. He also said since the time for paddy transplantation is already over, it is difficult to grow paddy in the land again. They demanded adequate compensation for the crop loss, he added. Superintending Engineer, WR department, Hirakud Dam Circle, Saroj Panda said the toe wall of the embankment had become old, as a result the wall toppled. The wall failed to retain the earthen embankment and it caved in, he said. They have closed both the sluice gates of Sason canal. The repairing work has already begun and the work will be completed within three days, he said.Meanwhile, Sambalpur Sadar Sub-Collector Pradip Sahu said they have already apprised the office of the Special Relief Commission (SRC) about the crop loss due to breach in the embankment. The crop loss will be estimated after the water recedes from the land, he added.